What will happen to Amhrán na bhFiann in 2012? The copyright expires on Amhran na bhFiann, the Irish national anthem, tomorrow – 70 years after its writer’s death. One TD says she does not want to see it used “as a jingle in an ad”. THE COPYRIGHT WILL be lifted on one of Ireland’s most famous songs from tomorrow – Amhrán na bhFiann, the national anthem. Penned by Peadar Kearney in 1907, the 70th anniversary of Kearney’s death this year means that EU copyright will no longer apply to the song. The original English lyrics for A Soldier’s Song were written by Kearney, and Liam Ó Rinn translated them as gaeilge. At an auction in 2006 in Dublin, the first draft of the song on paper was sold for €760,000. Independent TD Maureen O’Sullivan told TheJournal.ie that she hopes the government will reclaim its copyright – which it has held since the Department of Finance acquired it in 1934 – on the anthem, but that it has to be enshrined in law for this to be the case. “I don’t think it would be difficult,” she said of the process. O’Sullivan said she was concerned about how the song could be used once in the public domain. I wouldnt want it to be seen as a jingle for an ad. Deputy O’Sullivan added that while most people are respectful towards Ireland’s national anthem, with social media and other avenues there is the possibility it could be misused. The Dublin TD went to school with Kearney’s granddaughter and had been in touch with his family about the issue. Now that the copyright has ended on the piece, it may beg the question for some about whether it needs to be replaced. 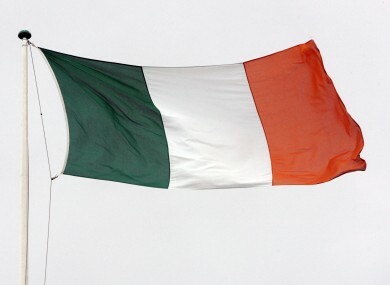 It was adopted in 1926 as the Irish national anthem, so do you think it is time to replace it – or would that be an awful thought? If you do think it should be replaced, what would you suggest as an alternative? Tell us in the comments below. Email “What will happen to Amhrán na bhFiann in 2012?”. Feedback on “What will happen to Amhrán na bhFiann in 2012?”.